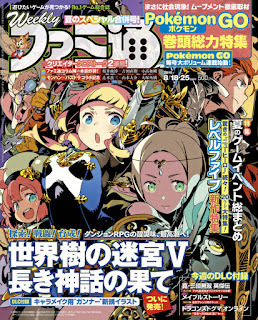 The new issue of Weekly Famitsu is now out in Japan so here's the usual summary of what it contains. We can expect a big official website update in a few hours with more content - and hopefully larger pictures. The main image shows the Sanadamaru, which was a fortification built to defend the south side of Osaka Castle against the Tokugawa forces. In chapter eight of the main Sanada Yukimura's Life Story mode, Yukimura is using the Sanadamaru to protect Osaka Castle with his life, if necessary. This chapter is based on events associated with the Osaka Winter Siege. The Tegata mission for the first part of this chapter requests that the player destroys four Tokugawa gun batteries at Sasayama. 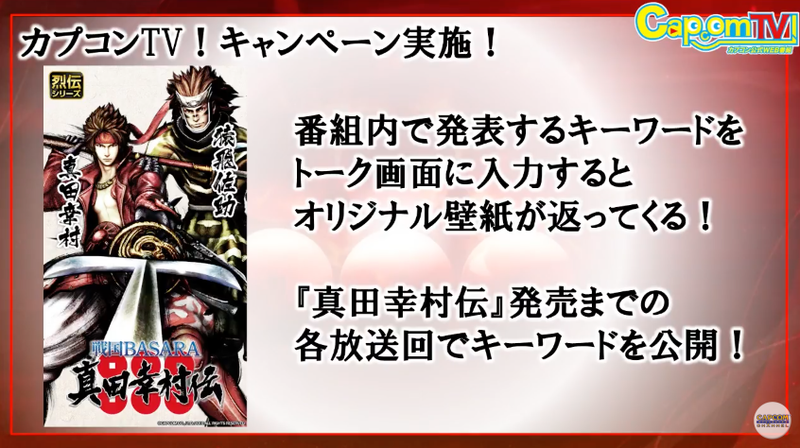 The Sanada Blood panel shows that you can switch between controlling Yukimura himself and manning the Sanadamaru. To raise your Bushin level quickly, you'll want to lure the Tokugawa soldiers into the red areas and then bombard them using the fortress cannon. Then there's another section to the stage, which involves controlling Sasuke as he flies through the sky, racing the clock to intercept thirty batches of enemy supplies being dropped from above. There are also bombs and aerial enemies which Sasuke has to avoid, and he has to control his height as well as his position. It looks... challenging. There's one panel I can't read because it's too small, but it's probably Sanada Yukimura's Life Story mode as it would be weird not to have that. Unless there are other unlockable modes I'm guessing this is the full list. As well as being able to play the Secret Backstory chapters as stages in their own right, you can go into the Gallery and read the script with the voices playing alongside it - in case you miss anything in the heat of battle. The screenshot of this menu implies that there are a total of 15 Secret Backstories to unlock. 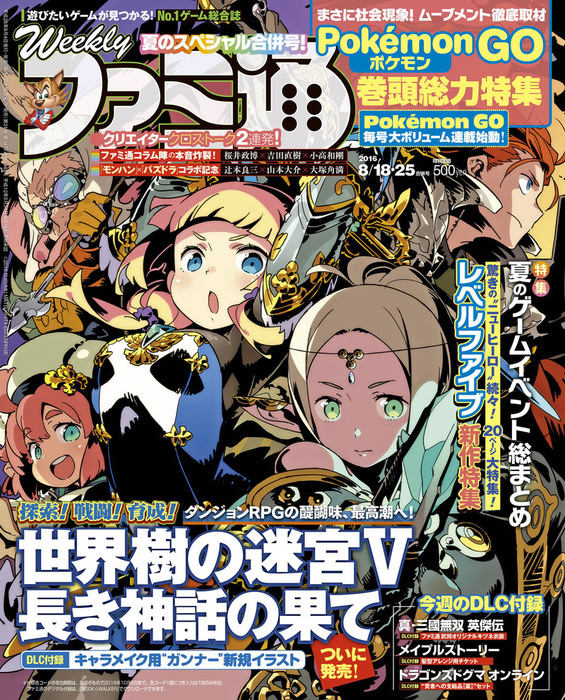 Three of the previously-shown ones are given introductions, then the last three are new reveals with nothing but titles to work with (and I'm afraid the picture is too small to fully confirm these until the website updates). The final Secret Backstory still hasn't been shown at all. Objectives: Keep on tearing through the meddlesome Kuroda army! Description: While close to unifying the country, Oda Nobunaga departed this world in the Incident at Honnouji, brought about by Akechi Mitsuhide. After Nobunaga's death, Toyotomi Hideyoshi acomplished his goal of unifying the land in the name of strength. However, there was someone flying a flag of revolution, who wanted to create an era of bonds. That man's name was Tokugawa Ieyasu! The two men's fists are now certain to clash. In short, it sounds like a one-on-one deathmatch between Hideyoshi and Ieyasu. Description: The Eastern Army helmed by Tokugawa Ieyasu would heroically clash with Ishida Mitsunari's Western Army in the Battle of Sekigahara. The night before that fight, somewhere between dreams and reality, Ieyasu and Mitsunari talk things over with fists and blade. The two used to be companions but now they walked opposing paths. What kind of secret backstory will this tale reveal!? Again, another one-on-one deathmatch which has been long requested by fans. There will be some T.M.Revolution music packs available as paid DLC when Sengoku Basara: Sanada Yukimura-den is released. The first features seven tracks from T.M.Revolution's recent 2020-T.M.Revolution ALL TIME BEST compilation album. It will include HIGH PRESSURE, Aoi Hekireki ~JOG edit~, Burnin' X'mas, Madan ~Der Freischütz~, WHITE BREATH, HOT LIMIT and WILD RUSH. The second pack will feature eight themes from the series, namely crosswise, SWORD SUMMIT, The party must go on, Count ZERO, Naked arms, FLAGS, UTAGE and DOUBLE-DEAL. The only information about DLC costumes was a half-page section confirming that the Masamune-kun and Yukimura-kun costumes for Bontenmaru and Benmaru will be available later as paid DLC if people miss out on the store-exclusive preorder versions. We've known that for ages! 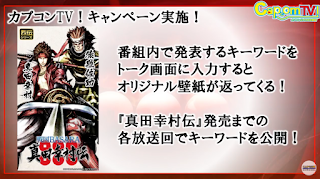 Weekly Famitsu promises a big round-up of all of the Sanada Yukimura-den news in the next issue, which will be timed a week before the game's release (and on the same day as the next Capcom broadcast). It should be good. 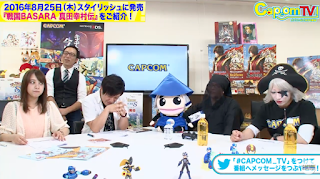 Today's episode of Capcom TV (#48) wasn't the most exciting, mostly because they were showing content that has already been revealed. NonakaP was unavailable again so mascot Ashigaru-kun explained the Sanada Blood character swapping mechanic then gave a short demonstration. There was plenty of time to see how Sanada Blood works on this stage; Nobuyuki guards the east of the castle and Masayuki the west, and you simply swap between them to ensure that the enemy attackers can't do enough damage to release the bridges. After that, they showed Katsuie's secret backstory stage (again) and ran through some of the Sanada Trials as Tadakatsu and Magoichi. The LINE keyword for this episode was 水曜２０時 which unlocks a wallpaper of Yukimura and Sasuke. Unrelatedly, the official Sengoku Basara Twitter account posted a timely design sketch showing how Bontenmaru's scarf works. I never even realised it had three 'ends' until the interview a few days ago, and now it seems it's even more complicated than I thought!